The holidays are over and the New Year is upon us. 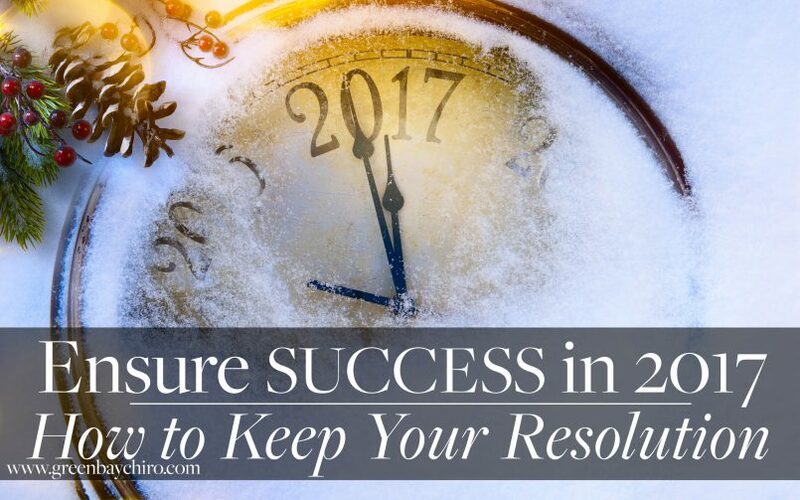 As December 31 inches closer, you may or may not be penciling a list of resolutions that you hope to accomplish in 2017. Resolutions are a hot topic this time of year. Everywhere we look, it seems someone is telling you to set a different goal for ourselves (lose more weight! cut out sugar and carbs! save money!). Craving self-improvement is not at all a bad thing–it’s always good–but the mass rush toward big, vague resolutions this time of year is largely ineffective. Why might that be? Shouldn’t we all be able to join together to make sure we all lose that stubborn 10 pounds and save the extra money this year? If we all have similar goals, why are they so hard to achieve? It’s the mindset of the resolution-setter that either cements failure or ensures success. In the glow of a brand new year, a perfectly clean slate, we get carried away with our ambitions. In setting goals too lofty, we set ourselves up to fall short. According to the world of psychological scholarship, if our resolutions do not match the view we have of ourselves (that we are capable, that we are devoted to the tasks), we will never reach our goals. From my professional point of view, this makes a lot of sense. The body and mind are so interwoven that you simply cannot set and achieve a large goal without mentally having the willpower to see it through. Our bodies are capable only of what we are ready to will them to do. Another reason why resolutions tend to fail is that we look to our resolutions as catalysts for motivation. Our New Year goals are supposed to be our motivators, the final push to get us moving on the right track. Motivation, however, has an inertial effect. A body in rest stays in rest and a body in motion stays in motion. The resolution is supposed to get us to put our bodies (or minds) in motion and banish the state of dormancy. This is difficult in itself (the initial move from rest to motion) but it is even more challenging when we try and convince ourselves that a huge goal (debt reduction, weight loss, smoking cessation) is within our immediate grasp. The resolutions you have for yourself should be made every single day, not just on January 1st. Always be re-evaluating your goals and compare them to your progress. Is it getting easier to wake up when your alarm goes off to exercise? Are you able to resist impulse buys in order to make bigger loan payments? Can you turn down temptation with smoking or poor nutrition? These little check-ins can (and should) be done every day, and not every day will have a positive result. Sometimes you will backtrack in your goal, and that’s okay! This brings me to my next point. We defined our sense of self through our own thoughts and actions. The more we rely on our own positive thoughts and actions, the less we are in jeopardy of succumbing to the negative feelings that arise from setbacks to our goals. Everyone will face a setback or two (or three, or four) when striving toward a large goal or resolution. It’s how you respond to these setbacks that will set you up for failure or success. If you find yourself weakening in relation to your resolution, resist the temptation to be extremely hard on yourself. Do not tell yourself that you have failed and now must quit. In fact, do not let yourself. To some of us, this will be instinctual, but resist it! Stay positive, laugh off your mistake, and start over the next day. Quitting at the first sight of a setback is one of the number one reasons why resolutions fail. In setting a goal, focus on what you will do, not what you will no longer (or can’t) do. If you tell yourself you can’t have sugar or can’t buy anything fun for yourself anymore, your brain will naturally want these restricted things even more. Focus on what you can do and what you will do. For example, think “I will reduce my spending and save a lot of money, which will make me happier in the long run,” or “I will eat healthier and enjoy the foods I do eat in moderation all while losing weight.” This slight adjustment in mental attitude is small but will have a very large impact. Focusing on restriction and negativity in your attempt to reach your goal will not only isolate you from self-affirmation but will make it harder to keep going in the face of setbacks. As I said earlier, when it comes to motivation, you need to create an inertial effect. Slowly transition your body (and mind) from rest to motion so that it stays that way. Thin about it: a pendulum does not start out swinging at full speed; it gradually gains momentum in order to reach the polar ends of the spectrum. If you have large, long-term goals, they are the ends of the spectrum you need to build up speed for. Make a list of resolutions that you can do every day that help you get to your larger goal. With smaller goals to hit each day or week, your brain creates new memories that are associated with the small choices that we make every day. When you are faced with a tough decision (work out or skip it? buy the item now or wait?) your brain relies on past associations with this choice. If you have a history of bad habits when it comes to your new resolution, the decisions will be very difficult the bigger they get. To help create new associations, it is essential that you start small with your goals. I work with people every day to set, work toward and achieve lifestyle goals. Whether you want to lose weight, be more active, more mindful or even quit smoking, I am here to help. Another reason why resolutions fail is because individuals are incapable of holding themselves accountable when it comes to major lifestyle changes. Having someone like myself in your corner, helping you through the highs and lows of lifestyle shifts will go a long way in assisting your progress. Keep all of this in mind when you set your resolutions for 2017! I hope to hear a few of yours in the office this week.